It is clear that the arrests made in a concerted countrywide swoop reek of vendetta. It turned out to be a synchronised arrest of lawyer Sudha Bhardwaj, activist-lawyer Vernon Gonsalves, poet Varavara Rao, human rights activist Gautam Navlakha, and human rights activist-lawyer Arun Ferreira. All have a record of fighting for justice and human rights, especially the rights of oppressed sections like the Dalits and tribals. It is a cruel irony that they have been held in connection with the Bhima-Koregaon violence and under the controversial Unlawful Activities Prevention Act (UAPA). It, therefore, looks like a well-orchestrated plot choreographed by the state. The term, “Urban Naxal” assigned to them on the assumption that they are working in tandem with separatists and Pakistani intelligence, to achieve their goal of “overthrowing the government” is fanciful. Apart from the inconvertible proof that they are intellectuals, influencers, and activists, there is nothing to prove their alleged enmity towards India. 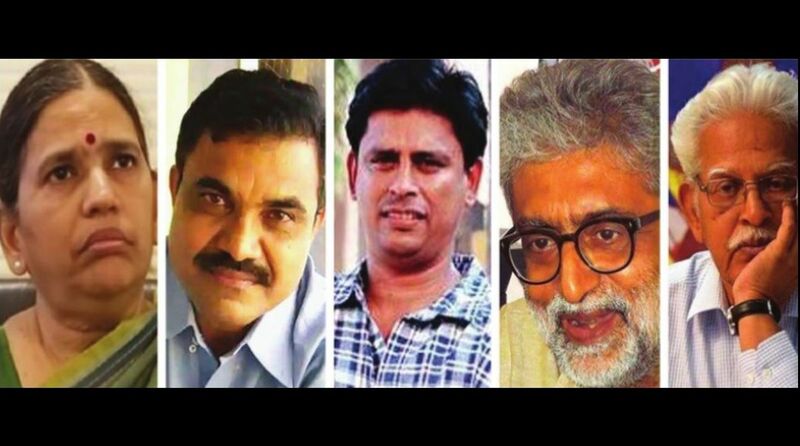 The Maharashtra government had submitted before the Supreme Court that the five rights activists were arrested due to the ‘cogent’ evidence linking them to the banned CPI (Maoist) and not because of their dissenting views. The raids were apparently carried out as part of a probe into an event called Elgar Parishad, or conclave, on 31 December last year. Close to a year later, it is being used as an alibi to arrest anyone and everyone who is engaged with democratic movements, which apparently had triggered violence at Koregaon-Bhima village in Pune district of Maharashtra. But whether or not their speeches at the Elgar Parishad meeting in Pune ignited the violence unleashed on a Dalit gathering at Bhima-Koregaon on January 1 is yet to be established. The claim that it is “actionable evidence” is dubious. Particularly when one reflects that the peaceful gathering was attacked by activists belonging to two Hindu right-wing organisations ~ Shiv Pratishthan led by Sambhaji Bhide and Hindu Ekta Manch led by Milind Ekbote. Both have been charged by the Pune police with instigating the violence against Dalits last January. And yet they continue to roam free. The entire episode betrays bias on the part of the local police and the Maharashtra government as a whole. What is worse, it betrays a partisan state that has accorded short shrift to the rule of law. Counterterrorism laws such as the UAPA have on occasion been used to criminalise peaceful expression, disproportionately so against religious minorities and marginalised groups such as Dalits. Between 2011 and 2013, the authorities in Maharashtra arrested six members of Kabir Kala Manch, a cultural group, under counterterrorism laws, claiming that they were secretly members of the CPI (Maoist) ~ a banned organisation ~ without furnishing any proof in support of their claim. As it turned out, the Pune based group of singers, poets, and artists consists largely of Dalit youth and uses music, poetry, and street plays to raise awareness about issues such as oppression of Dalits and tribal groups, social inequality, corruption, and Hindu-Muslim relations. Yet they have been charged with violating counterterrorism laws and thus labelled “antinational”. The impact on the lives of the accused and their families, even if they are eventually judged innocent, has been profound. The Mumbai-based activist Arun Ferreira, branded as a “Maoist leader” by the Maharashtra police and “Bandra Naxalite” by the media and once imprisoned for five years was subsequently found innocent of all charges by the courts. But the trauma has lingered, and this is the core point of the exercise ~ persecute the ‘renegades’. It thus comes abot that “arrest is an instantaneous, shattering thrust, expulsion, somersault from one state into another”, wrote Alexander Solzhenitsyn. When a ruling party uses emergency laws to stop a determined and principled opposition in a culture of wholesale paranoia, invocation of Franz Kafka’s The Trial might appear to be banal. But Josef K.’s appearance before the examining magistrate at the initial inquiry was a similar farce, a staged gathering in which the supposed parties of the assembly were merely acting out their roles before the gallery under the direction of the magistrate. 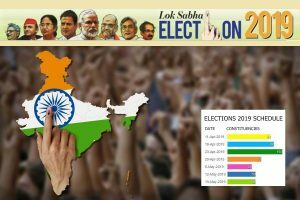 In Shreya Singhal v. Union of India, the apex court on 24 March 2015 ruled that when it comes to democracy, liberty of thought and expression has a cardinal value that is of paramount significance under our constitutional scheme. It was vindicated again with Justice Dipak Misra and Justices AM Khanwilkar and DY Chandrachud criticising the police action in strong terms. Justice Misra also attacked the arbitrary nature of the arrests. Iterating the need for dissent in a democracy, Justice Misra observed that democracy cannot survive without dissenting voices, a point reinforced by Justice Chandrachud who asserted that democracy would “burst under pressure if dissent, which was its safety valve, was not allowed”. Soon after the Supreme Court equated dissent with a “safety valve” in a vibrant democracy, the Law Commission suggested that the law on sedition be re-drafted. It has frequently been invoked to muffle dissenting voices. The Commission, headed by the retired Supreme Court judge, Justice Dr B.S Chauhan, noted that in a number of cases, the plea of sedition has been used to silence political dissent or any political stance apparently antithetical to the percention of the ruling party. The term, “Urban Naxal” has been used to debunk those who do not share the BJP’s political philosophy. In a consultation paper on the sedition law (124A IPC) crafted by a panel of experts, the right to freedom of speech and expression was strongly defended with the caveat that Section 124A should be invoked only in cases “where the intention” behind the act is to “disrupt public order or to overthrow the Government with violence and illegal means”. “Berating the country, or a particular aspect of it, cannot and should not be treated as sedition,” the panel observed. The similarities of the plot behind the killing of the distinguished and outspoken academic, MM Kalburgi, in 2015 and journalist Gauri Lankesh in 2017 and now the raids showcase that anyone who opposes the establishment against communalism or against the death of rationalism or the popular but predatory discourses of ‘development’ runs the risk of being persecuted. In response to a vindictive police state as in Russia, Solzhenitsyn was intrepid enough to recount to the world the history of a mafia-dominated country governed by a group of tyrants. He had spent eleven years in camps, special prisons, secret KGB institutions and internal exile. Suppression and torture of dissidents may not always be an effective model to silence the dissenting voice. The writer is a Kolkata-based commentator on politics, development and cultural issues.